Spring is officially here so visit your local garden centres, buy Irish plants and get growing! 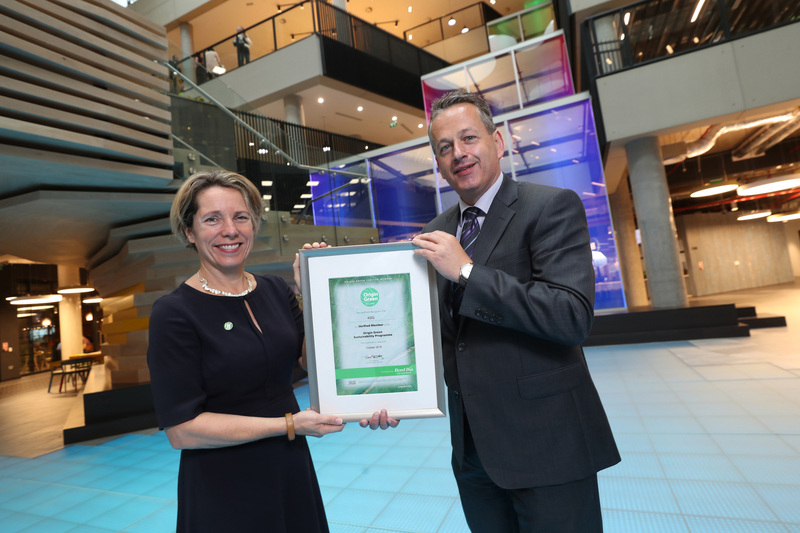 GroMór is an initiative by Bord Bia in association with Retail Excellence Ireland, promoting its 62 local garden centres and nurseries located across the country. These centres have an extensive selection of plants along with qualified staff, who are available to offer free expert advice to people in all age groups from novices and new homeowners to experienced gardeners. Discover your green fingers simply grab a trowel and uncover the beauty and mystery of the garden. GroMór 2019 has two key themes that will focus on the seasonal plants with ‘Garden Colour’ across April and May and then ‘Container Garden’ from June onwards. April is the month when spring really starts to arrive and with the advice of GroMór ambassador Gary Graham, comes the opportunity to create your own super garden this summer! Karen Koster and Super Garden judge and the face of Bloom Festival, Gary Graham celebrate the arrival of spring and the launch of GroMór 2019 – encouraging everyone to visit their local garden centres and nurseries, buy Irish plants and get growing! The winter winds have blown the leaves away from the trees and the leaf buds are sprouting. Your garden is ready to go, so bring it to life this April with a burst of ‘Garden Colour’! There are a wide variety of plants that will brighten up your garden, and perennials are a good place to start as they come back every year. If you plant a flowering perennial every month, there will always be something blooming in your garden. Beautiful wallflowers, peonies, dicentras and euphorbias are perfect for April and if planted in clusters of at least four or five, they will really stand out. The bonus to all of this planting to make your garden looking beautiful is that it’s also going to make your bees happy! 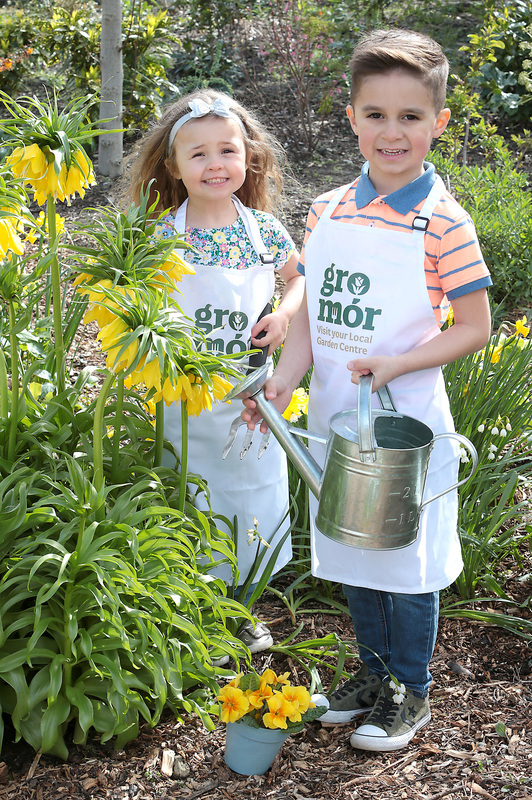 Amy Dempsey aged 4 and Gianluca Bux aged 5 as they celebrated the arrival of spring and the launch of GroMór 2019 – encouraging everyone to visit their local garden centres and nurseries, buy Irish plants and get growing! Gary Graham will feature in the new series of Super Garden which starts on Tuesday 30th April on RTE 1and will showcase some of Ireland’s top gardens. These gardens will then transported to Bloom in the Phoenix Park for June bank holiday weekend. Bloom, Ireland’s largest gardening, food and family festival takes place in Phoenix Park, Dublin. 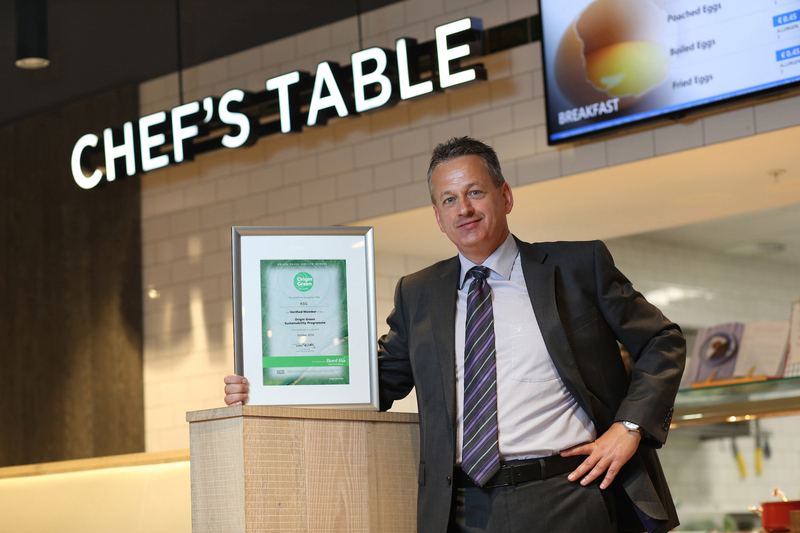 It is an annual showcase of the best of Ireland’s horticulture and food industry. Gary has been a judge on the Super Garden for over a decade and he is often recognised as the Simon Trowel-type persona who nonchalantly kicks loose paving slabs while shaking his head in deep disapproval.